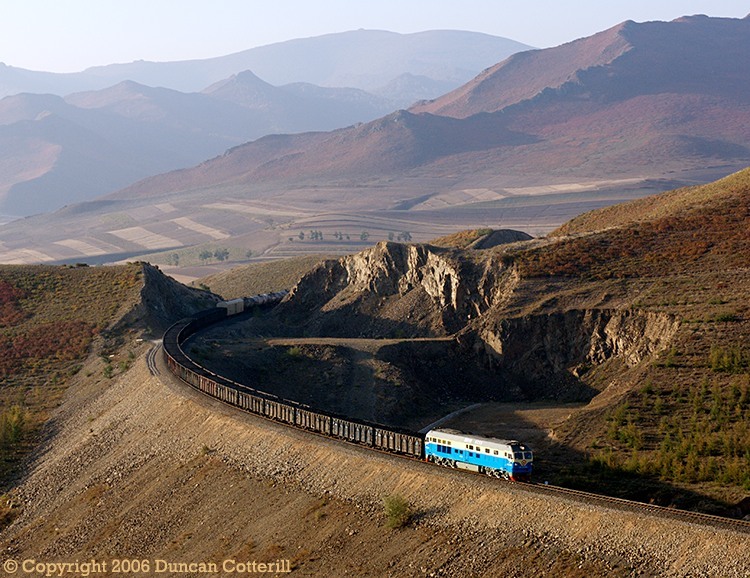 After an interval of almost two years, I returned to Jingpeng Pass in the Autumn of 2006 and found that it's still a great place to photograph trains in spite of the lack of QJs. Few steam photographers bothered with downhill trains but diesels look just as good whether they're working hard or not. That opens up many new possibilities such as this shot of DF4D 4255 dropping towards Tunnel 7 with an eastbound coal train on 6 October 2006.